A self catering holiday cottage in the Lake District National Park. 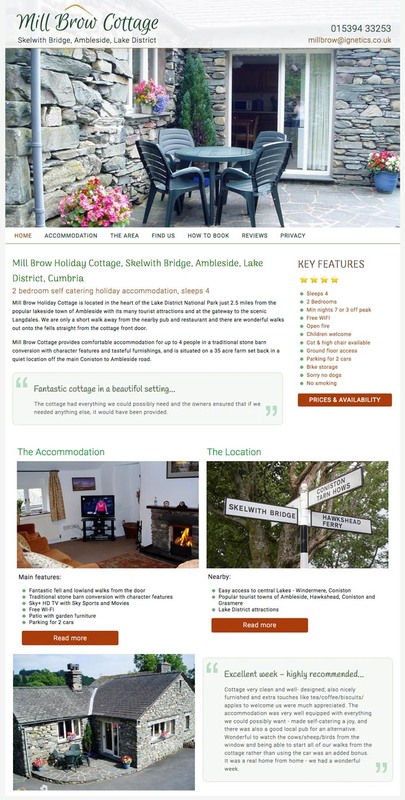 This is a new website for an established holiday let in the Lake District National Park near Ambleside. We collated content for the site from existing sources and researched and created a page of information about the area for the client.